Electric ride-on cars are becoming more and more popular. They’re an unusual gift for the child who has everything. Used responsibly, they’re surprisingly safe. Battery powered toy cars like these used to only be bought for older children. Most of them are labelled as being for older age groups. 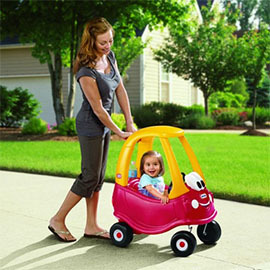 However lots of parents have started buying electric ride-on cars for 2 year olds. Here’s my round up of the best cars for toddlers. 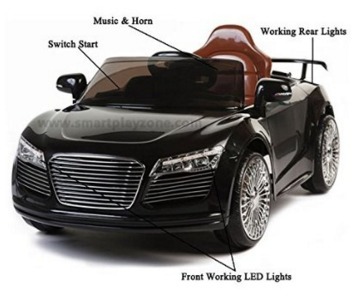 This Audi-style Electric Ride On Car is a very impressive car for 2 year old children and above. It’s a convertible sports car, sure to impress children and parents alike. 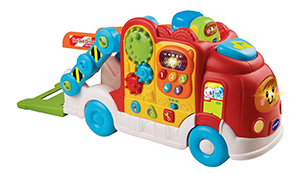 It comes with a 4-channel remote control, 2 motors, 12V rechargeable battery, electric brake, UK battery charger, ignition sound effects, seat belt, real working front LED headlights, wing mirrors, forward and reverse gearbox, user manual, music and horn (controlled from the steering wheel) and MP3 player connection. The car has 2 speed settings: slow and fast (up to 5km/hour). 2 year olds should obviously stick with slow! Children who are tall enough to ready the pedals can drive this electric ride-on car themselves. Parents can control it using the remote for smaller children (i.e. most 2 year olds). The remote control can also be used to override the child’s driving, which is a useful safety feature. 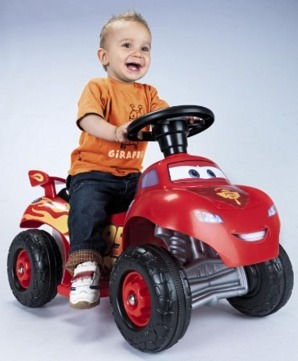 This ride-on toy car is suitable for children from 2 years old up to 30kg. It’s not small and measures 1.21m long by 0.65cm wide and 0.47m high, with plenty of legroom for the child as they get older. It comes in a choice of colours – black, white, red, blue and pink. The only thing that would make this electric ride-on car more impressive would be if it was a genuine Audi. But that would make it a lot more expensive. If the concept of an electric car for 2 year olds wasn’t exciting enough, then how about adding even more wow factor with this Mercedes-style vintage classic car! This ride-on car is powered by a 12V rechargeable battery and comes complete with charger. It’s easy to charge without having to remove the battery. 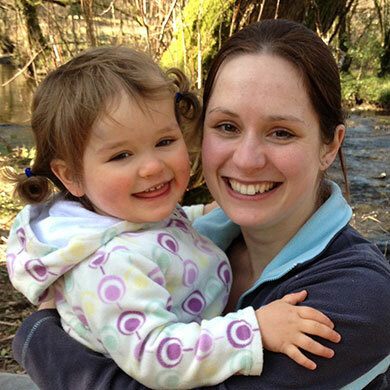 2 year olds can drive the car forwards, backwards, left and right – or you can use the remote control to move it for them. It’s extremely well made and confirms to various toy safety standards. I love the attention to detail which make it look really realistic as a vintage classic car. This ride-on electric car is available in black, cream, pink and red. It is suitable for 2 year olds and older children. 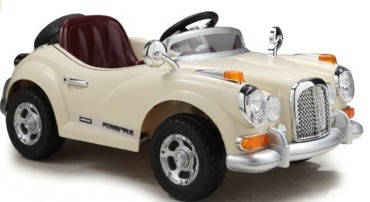 This genuine Mercedes electric ride-on toy car for 2 year olds is beautifully made. Unlike the other Mercedes-style ride-on car featured in this article, it’s an official licensed Mercedes-Benz and has the badge to prove it. You get all the features that you expect from a top of the range electric ride-on car. There’s a 4-channel remote control allowing parents to control the car, 6V battery with UK charger, push button start, MP3 player input, sound effects, music, horn, seat belt, forward and reverse gear stick, 6V motor, working headlights, wing mirrors , volume control, etc. Unusually, this ride-on car is described as being for children from age 1 up to 3 year olds and not older children. This means that it’s very clearly aimed at the toddler end of the market and is ideal for 2 year olds. It’s 0.92m long and 0.62m wide. It won’t be too big for them, but it does mean that it won’t be suitable as the child gets older. The electric Audi-style car also featured in this article is bigger and suitable for children up to 30kg. Choosing the right size electric ride-on car is a bit of a balancing act. You want to get a 2 year old a car where they can reach the pedals, but it’s an expensive toy and needs to last too. The Feber Cars McQueen Quad is an electric ride-on quad bike that is definitely more of a toy than most of the cars in this article. It’s also much cheaper and aimed at a different end of the market. The quad bike is fun, friendly-looking and doesn’t take itself too seriously. Its friendly design will appeal to 2 year olds and it’s nice and safe to ride. 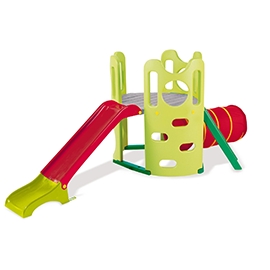 It’s suitable for children aged 12 months and over (up to 20KG). This ride-on quad bike doesn’t have features such as a remote control or working headlights, but it’s still a great buy and very popular. For a more feminine electric ride on toy for a 2 year old girl, here’s a popular Frozen tricyle. This battery-powered tricycle is surprisingly robust and is very steady and well balanced. It’s licensed by Disney Frozen and is decorated with the Frozen colour scheme and various pictures. Even the wheels are pink! 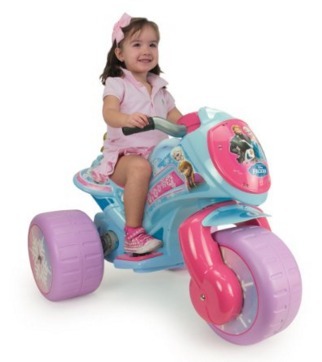 The ride-on tricycle is powered by a 6V rechargeable battery and comes complete with charger. The foot pedal accelerator has an automatic brake. The maximum speed is 5-6km/hour which is slightly faster for 2 year olds than some of the other ride-ons in this article. It measures 0.895m long by 0.67m wide. The Predatour Smart Electric Ride on Car is a happy medium between the more toy-like ride-ons and the more expensive electric cars in this article. It has all the features that 2 year old could want in an electric ride-on car, but doesn’t take itself quite so seriously. The cost is certainly less eye-watering than some, too. It has real working headlights, MP3 player connection, 6V battery with charger and a single motor. There’s a parental remote control, musical steering wheel, wing mirrors and forward/reverse gears. 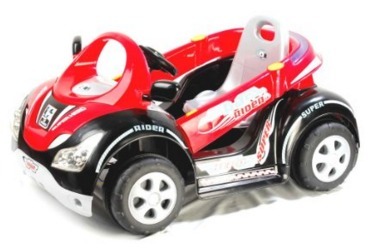 This battery powered ride-on car is suitable for 2 years olds and upwards, up to 25kg. 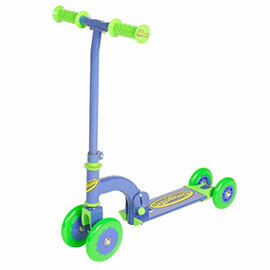 It measures 0.96m by 0.62m and is mid-sized for a ride-on car for this age group. Which is the best electric ride-on toy car for 2 year olds? Everyone knows that you get what you pay for. This applies to electric ride-on toy cars as much as everything else. If you have money to burn then I’d probably go for the Mercedez-Benz. 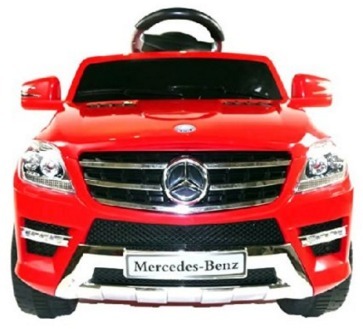 I love the idea of a 2 year old having a genuine Mercedez – guaranteed wow factor! However the Audi-style electric ride-on and the Mercedes-style classic car are great contenders too, even if they’re replicas. Of course not everyone’s budgets will stretch to such high end electric ride-on cars. If you’re on a budget then the Feber quad bike is great for boys and the Frozen Trike for 2 year old girls. The Predatour heads up the middle range of the market and has a good balance of features without being too expensive. Have you bought an electric ride-on car for a 2 year old? Which one did you choose and was it a good buy? Please let me know in the comments below.